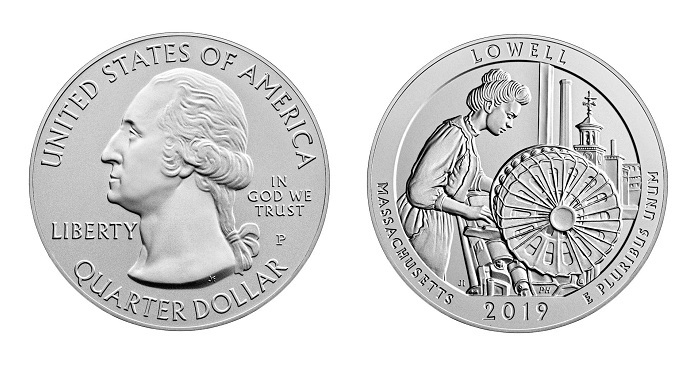 Washington — The United States Mint will begin accepting orders for the 2019 America the Beautiful five-ounce silver Uncirculated coin honoring Massachusetts’s Lowell National Historical Park (product code 19AJ) on February 7 at noon EST. The coin is priced at $154.95. The America the Beautiful five-ounce silver Uncirculated coins are struck in .999 fine silver at the Philadelphia Mint. These coins are three inches in diameter and bear the same designs featured on their America the Beautiful Quarters Program coin counterparts. 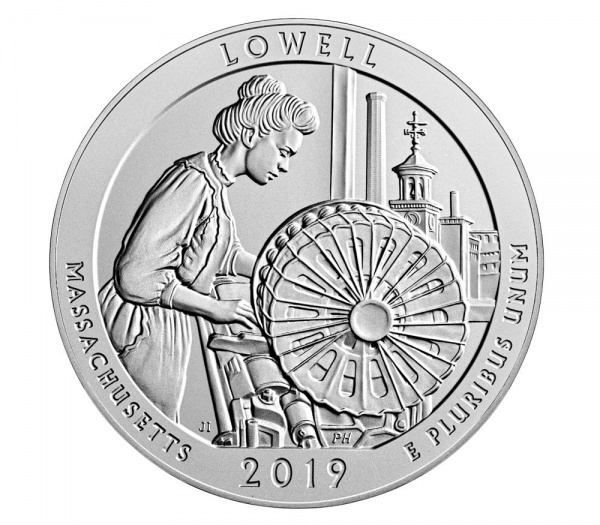 The reverse (tails) of the Lowell National Historical Park five-ounce coin depicts a mill girl working at a power loom with its prominent circular bobbin battery. A view of Lowell, including the Boott Mill clock tower, is seen through the window. Inscriptions are LOWELL, MASSACHUSETTS, 2019, and E PLURIBUS UNUM. The mintage limit for the America the Beautiful five-ounce silver Uncirculated coin honoring Lowell National Historical Park is set at 20,000 units. 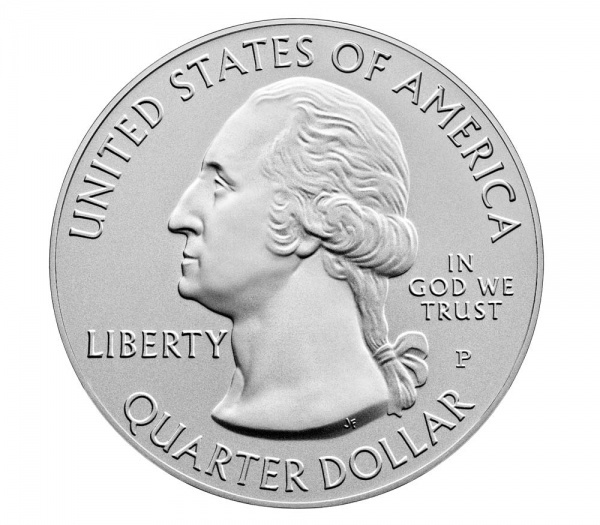 The Mint accepts orders online and at 1-800-USA-MINT (872-6468). Hearing- and speech-impaired customers with TTY equipment may order by calling 1-888-321-MINT (6468). Information on shipping options is available at the Mint’s website. 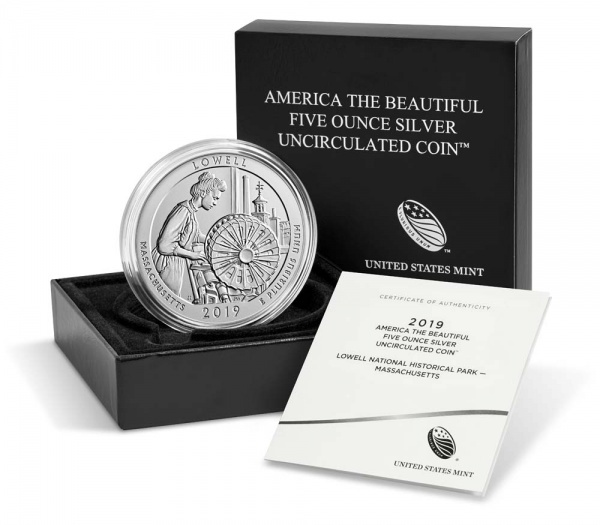 The America the Beautiful five-ounce silver Uncirculated coins are also available for purchase through the Mint’s Product Enrollment Program. To learn more, visit us online for details. Note: To ensure that all members of the public have fair and equal access to United States Mint products, the United States Mint will not accept and will not honor orders placed prior to the official on-sale date of February 7, 2019, at noon EST.